Richard Childress Racing (RCR) today announced plans to continue its partnership with Bass Pro Shops during the 2018 racing season. Bass Pro Shops and Cabela’s will serve as a primary sponsor for the No. 31 Chevrolet Camaro in the Monster Energy NASCAR Cup Series and the No. 3 Chevrolet Camaro in the NASCAR XFINITY Series. The partnership marks the first time both iconic outdoor brands will be featured together since Bass Pro Shops and Cabela’s joined forces in September 2017 to establish North America’s premier outdoor and conservation company. Bass Pro Shops and Cabela’s will be featured as the primary sponsors of Ryan Newman’s No. 31 Chevrolet during the 60th running of the Daytona 500 on February 18, 2018, along with several other select races throughout the 2018 season. The partnership also includes several races as primary sponsor in the XFINITY Series with drivers Austin Dillon and Ty Dillon, and a season-long associate sponsorship in both the Cup and XFINITY Series. Newman, Dillon and Dillon will serve as outdoor, hunting, fishing, conservation and sport shooting spokesmen for Bass Pro Shops and Cabela’s. The partnership will include in-market activation, at-track activation, show car and digital/social media assets. The at-track activation includes a footprint at the popular Bass Pro Shops/NRA Night Race at Bristol Motor Speedway in August 2018, where Bass Pro Shops and Cabela’s will also serve as primary sponsor for the No. 31 Chevrolet Camaro. 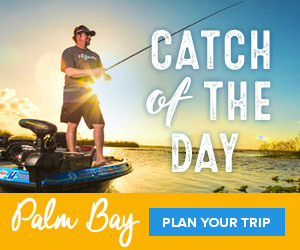 Bass Pro Shops, founded in 1972 by avid young angler Johnny Morris, provides unmatched offerings spanning destination retail, outdoor equipment manufacturing, world-class destinations and more. Earlier this year, Morris opened the doors to Wonders of Wildlife National Museum and Aquarium, the largest, most immersive fish and wildlife attraction in the world, located adjacent to the original Bass Pro Shops Outdoor World in Springfield, Missouri. Bass Pro Shops and Cabela’s will continue its on-car branding efforts with its affiliated brands such as TRACKER Boats, Ranger Boats, Big Cedar Lodge and to promote conservation partners including Ducks Unlimited and the National Wild Turkey Federation. Richard Childress Racing (rcrracing.com) is a renowned, performance-driven racing, marketing and manufacturing organization. Incorporated in 1969, RCR has earned more than 200 victories and 17 championships, including six in the Monster Energy NASCAR Cup Series with the legendary Dale Earnhardt. RCR was the first organization to win championships in the NASCAR Cup Series, NASCAR XFINITY Series and NASCAR Camping World Truck Series. Its 2018 Cup Series lineup includes two-time NASCAR champion and 2017 Coca-Cola 600 winner Austin Dillon (No. 3 Dow/American Ethanol/AAA Chevrolet) along with 2008 Daytona 500 champion and 2013 Brickyard 400 winner Ryan Newman (No. 31 Caterpillar/Grainger/Liberty National Chevrolet). Its XFINITY Series program includes a multi-driver lineup with the No. 3 Chevrolet Camaro, first-year RCR driver Matt Tifft (No. 2 Chevrolet Camaro) and second-year XFINITY Series driver Daniel Hemric (No. 21 Chevrolet Camaro).